As your team grows, there’s increasing pressure to develop good leaders within your team. At some point (~10 direct reports) you can’t manage everyone yourself. The logical thing to do is to get help. The best help is someone already in your company, and ideally on your team. They know and fit in your culture, and are familiar with your people and processes. They’re also much more likely to successfully pick up where you left off managing the team members you hand off to them. Chances are though, if you are going to promote someone from your team, they are likely to have limited or no management experience. So how do you know who to promote? Look for these qualities of a good leader. When you’re looking at your team and trying to decide who would make a good future leader, be sure you’re choosing someone for the right reasons. Consider these 5 qualities as a starting point as you search for the right person for the job. Just because someone is your best individual contributor (IC) does not mean they will be a good manager. The qualities that make you a good leader are not all the same as those that matter in an IC role. Selfish people do not make good leaders. You cannot lead others effectively for long if you’re not considering their motivations and needs as much as your own. While it’s easy to tell if someone only cares about themselves, there’s a lot of gray area most of us live in. When you’re looking at your team, look for people that have demonstrated some empathy. Imagine a colleague goes through a difficult situation; let’s say he loses a close family member in an accident. We naturally feel sympathy for him. We may even write a card or express those feelings somehow. For the most part, though, we move on with our lives. But when we show empathy, we take more time–time to remember how we felt when we lost someone close to us (or how we would feel, if we haven’t had this experience). We think about how this affected our work, our relationships with others. If someone on your team shows an interest and understanding in how others feel in various situations that have come up, it’s a good sign they have the needed empathy to lead. As you can see, without the trust that their manager will understand them and that they can approach their manager about anything, the odds of anyone on the team being engaged is painfully low. How to Learn Empathy: If this is an area of weakness for you or a potential leader, reading Dale Carnegie’s How to Win Friends and Influence People can change how you think about working with and leading others with empathy. When you consider the people on your short list for becoming a future manager, how well do they listen? Do they talk over people and push their ideas on everyone else, or do they first seek to understand the perspectives of others? The better the listener someone is, the more likely they are to succeed as a manager. Often, the best way to address a situation as a leader is to ask questions to truly understand a situation before reacting or responding. “Asking questions creates the space for people to raise issues they are worried about that the boss, or their colleagues, may not know about. Asking questions gives people the chance to tell a different story than the one you’re expecting. Asking good questions is just part of being a good listener though. Good listeners also take notes so that they remember what was discussed. 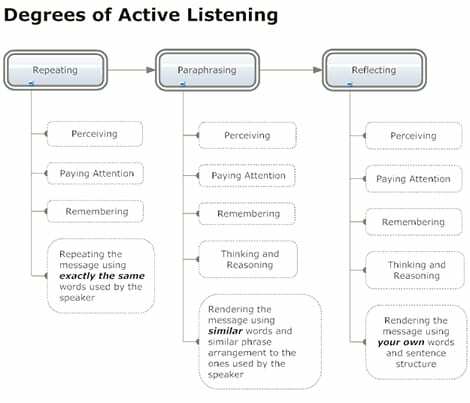 They’re also active listeners, meaning they seek to understand and clarify what they were told. Active listening also has the added benefit of the person talking feeling heard; you didn’t just ask the question and zone out or say “yup…okay…okay” as they explained something to you. Instead, you both walk away knowing that you understand what someone is trying to communicate to you. When someone is stressed or upset, this can be the difference between them thinking telling you was a waste of time and feeling confident they can bring issues to you. How to Learn to be a Good Listener: If this is an area of weakness for you or a potential leader, reading Brian Grazer’s A Curious Mind can help understand both the power of questions, and how to use curiosity as a tool in every aspect of your work. You’ll micromanage the new manager, afraid that they aren’t doing a good job and try to do parts of it for them. You’ll undermine the new manager, as you may be tempted to allow their team to go around the manager straight to you. The team may not buy into the new manager’s leadership after reading your reactions and behavior. So how do you avoid these? You must promote someone you trust. And in the corporate world, trust largely comes from consistency and accountability. If someone is consistent, you know what to expect from them. That predictability allows you to feel more comfortable with less oversight over them. If someone is accountable, you know that even if something goes wrong, they’ll fix it or take responsibility. They won’t hide from problems and they’ll work hard to deliver positive outcomes. Make sure the person you choose to promote is someone whose actions you want others to follow, and that you’re comfortable trusting them with leading their team. How to Learn to be Consistent & Accountable: Everyone is at least somewhat accountable and consistent, or they wouldn’t be able to keep their job. However, the difference between “good enough” and world-class, is wide. To be a champion and learn how to build a team that is deeply consistent and accountable, read Bill Walsh’s The Score Takes Care of Itself. 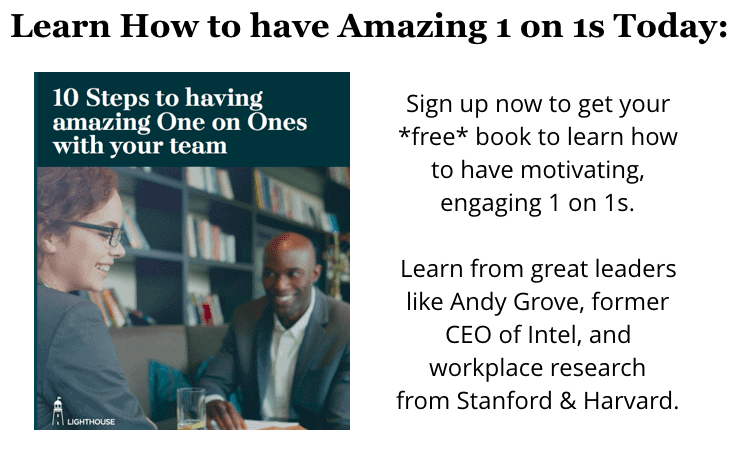 Want help being consistent in your promises and the quality of you 1 on 1s with your team? Then sign up for a free trial for Lighthouse, because it will help automate prep, followup, and more for you. Every step up as a leader in the layers of an organization presents new challenges, and no change is greater than the move from individual contributor to manager. This change can be a real shock. They see you lead a discussion in a team meeting. They see you heading to an important meeting to represent the team. They see you got to make the final call after a debate. They don’t see you staying up late to catch up on email after all those meetings. They don’t see you trying to deal with all the interpersonal team issues. They don’t see you struggling to juggle all of your responsibilities and those of the team. Have you told them what your days are like? Have you shared your favorite and least favorite parts of the job? Help them come in with eyes wide open. Beyond your specific life as a leader, it’s also important to understand their mindset coming in. People who want to “be the boss” are destined to fail, while the servant leader has no limits to where they can go. “To live Servant Leadership effectively; we start with the view that we are going to treat our staff as our “customers.” As CEO of Zingerman’s, my “biggest” customers are the managing partners of each of our businesses, and the central administrative staff, all of whom report to me. In turn, each partner’s primary customers would be the managers who report to them in their businesses…In each case the idea is to that the leader is giving great service to his or her staff, in order to keep the service energy in the organization flowing out, toward the front-line hourly staff. Why? Because the front-line staff are nearly always the people who are dealing with paying customers and/or making the products we sell. And we want to make sure their energy is freed to give the best possible service to customers coming in the front door, over the phone or via email. Why? Because, quite simply; the better the service we give to those front-line customers, the better the organization is going to perform. Promoting people to manager who are bought into the concept of servant leadership and are not afraid of what the job entails will be much more likely to succeed. More importantly, it also will be a positive influence on their team and the leaders they will one day have to develop. How to Learn the Life of a Leader: If you or your future manager wants to learn what it takes to truly lead, then there are few better books than John C. Maxwell’s 21 Irrefutible Laws of Leadership. 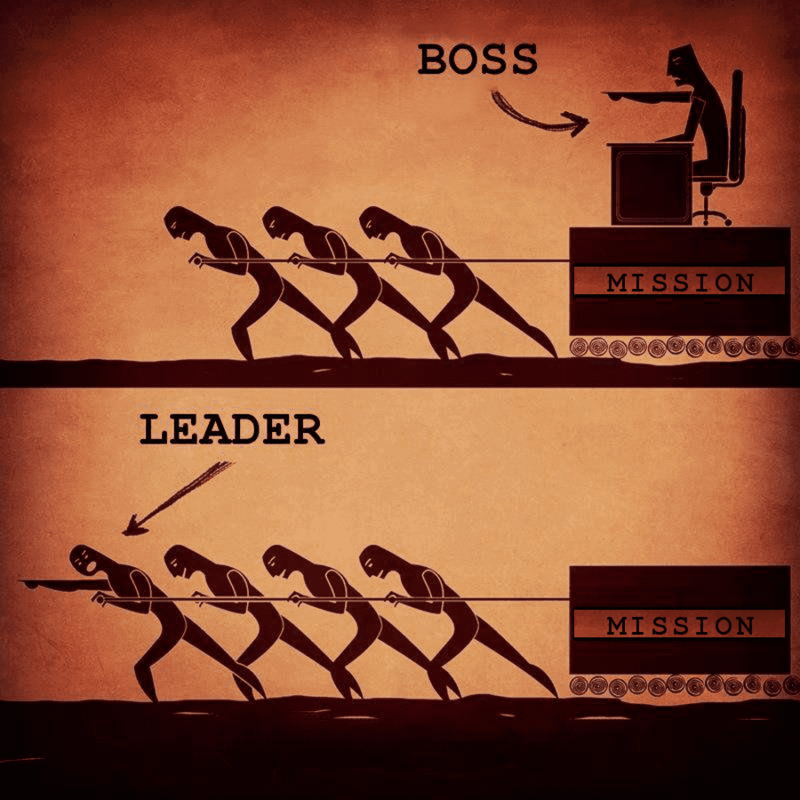 It explains the many levels of leadership from the ineffective “boss” to the highest level of leadership: making more leaders. Becoming a manager means taking on a new set of responsibilities and routines. No matter how much you are able to prepare a new manager for their role, there will always be more for them to learn. The key for any leader to succeed is to have a mindset of continuous learning and growth. You won’t know everything you need to on day 1 on the job, and to succeed as a leader, you must always be learning and adapting. This growth mindset makes all the difference, as Standford psychologist Carol Dweck has revealed in her extensive research on the subject. 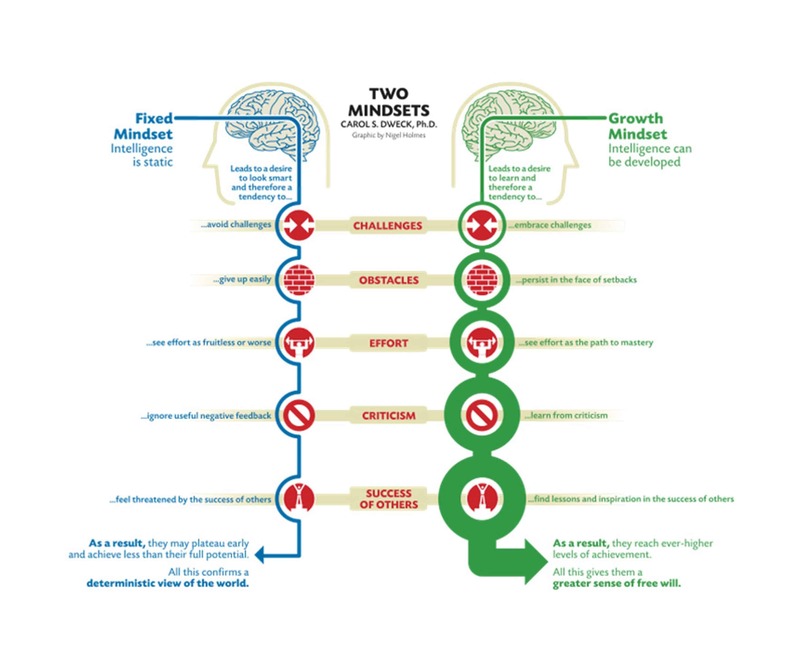 This image below summarizes the key differences between the mindset of continual growth and the limiting fixed mindset. What’s important to realize is that your potential new manager’s mindset doesn’t just affect them and their ability to grow and adapt in their role. It also impacts their whole team. 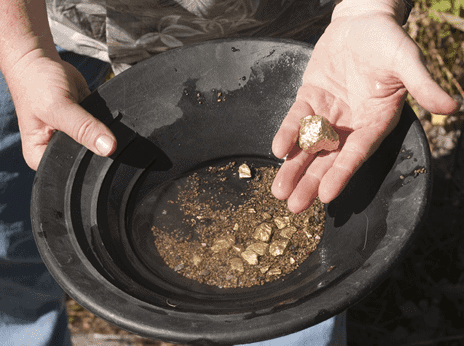 If a manager sees all of their people as fixed assets, they won’t invest in their growth or give them the kinds of challenging projects that keep your best people engaged. Especially with Millennials, not investing in their growth will lead to them becoming bored and the expensive possibility of them leaving your company for other growth opportunities. Do they take feedback well? Do they seek out hearing how they can improve? Do they look for opportunities to learn? You can also look at the chart above and see how they handle things like obstacles, challenges, etc. They may not be perfect, but your goal is to understand if they’re prepared for the hard work ahead to succeed in the transition to manager. How to Learn the Mindset of Learning and Growth: If you want to deeply understand this concept of a growth mindset, there’s no better place to go than straight to the source by reading Carol Dweck’s Mindset: The New Psychology of Success. Clearly, there are more than just these 5 qualities for a good leader, but this list will get you started in the right direction. We’d love to hear in the comments the qualities you look for in new leaders and why? Are you developing new leaders in your company? 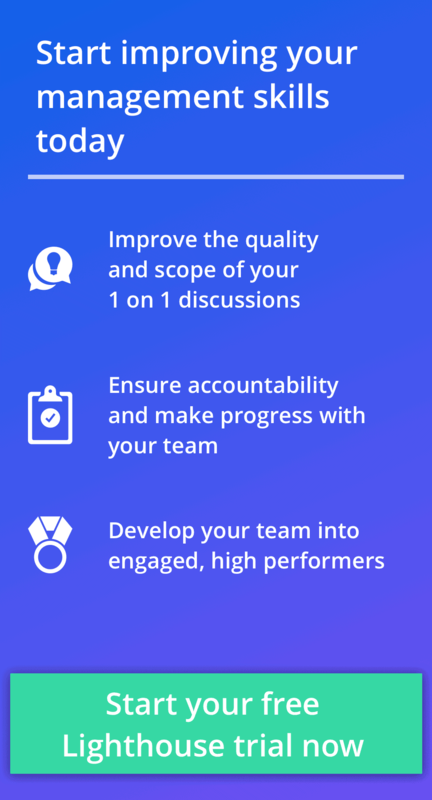 Are you looking for help getting new managers started on the right foot, building the right habits to lead and motivate their teams?